2017 – Winner of the Public Vote Award as Best in Show at Shutter Hub OPEN, Edinburgh, UK. 2016 – Winner of the Shutter Hub Photomasters Award at Photomasters, London, UK. 2016 – Nominee for Guest Artist Picks at PULP, Print Showcase judged by Brandon Thibodeaux, Bowen Island, BC. 2015 – Nominee for The Public Vote Prize at Portrait Salon, The Embassy Tea Gallery, London, UK. 2011 – Nominee for Best in Show at Provocation, Juried Photo Invitational – New York Photo Festival, New York, US. 2018 – Pil’Ours International Photography Festival, Because We Can, group show curated by Shutter Hub, Pays de Saint Gilles Criox de Vie, FR, July 8 – August 31. 2018 – The RATP GUESTS the photographers of Circulation(s) Festival, outdoor exhibition curated by RATP in the following metro stations: Bir-Hakeim (L. 6), Jaurès (L. 2),Hôtel de Ville (L. 1), Châtelet couloir côté Est (L. 7), La Chapelle (L. 2), Saint-Denis Porte de Paris (L. 13), Saint-Michel (L. 4), Madeleine (L. 14), Pyramides (L. 14), Gare de Lyon (L. 14) and RER, Nanterre Université (RER A), Luxembourg (RER B), Massy Palaiseau (RER B), Paris, FR, March 16 – July 31. 2018 – Circulation(s) Festival, group exhibition, invited by Susan Bright – Godmother of the 2018 edition, under her Carte Blanche, CENTQUATRE, Paris, FR, March 16 – May 6. 2018 – Little Circulation(s), group exhibition as in the main festival but entirely dedicated to kids (5-12 yo), CENTQUATRE, Paris, FR, March 16 – May 6. 2017 – Photography on A Postcard, curated by Art on A Postcard – raising money for The Hepatitis C Trust via secret postcard auctions, sales of prints and postcard boxsets, juried by Liz Collins, Dougie Wallace and Robin Maddock, theprintspace, London, UK, October 12-25. 2017 – Retina Scottish International Photography Festival, Shutter Hub OPEN, The Dark Room, Ocean Terminal, Edinburgh, UK, July 1-30. 2017 – ICP Museum, 1st ICP Alumni Party – group screening curated by Dustina Sherbine, Museum of the International Center of Photography, New York, US, February 28. 2017 – Love Letters, online group show curated by Lenscratch, February 14. 2016 – Photomasters, curated by PHOTOBLOCK, The Old Truman Brewery, London, UK, October 13-17. 2016 – PULP, curated by FotoFilmic and juried by Brandon Thibodeaux, PULP Gallery Space & Art Store, Bowen Island, BC, October 1-31. 2016 – Seeking Space: Making the Future, organized in collaboration with Arts in Bushwick and co-curated by Michael David and Julie Torres, David&Schweitzer Contemporary Gallery, New York, US, September 29 – October 16. 2016 – The Last Days of Summer, online group exhibition curated by Lenscratch, September 2. 2016 – I/Land, curated by Miniclick & photography curator and editor Yumi Goto, The Reminders Photography Stronghold Gallery, Tokyo, JP, February 13-28. 2015 – Portrait Salon, The Embassy Tea Gallery, London, UK, November 19-22. 2015 – The Heart Grows Fonder, Create Your Own ‘Zine Event, collaboration between Miniclick & Portrait Salon, The Embassy Tea Gallery, London, UK, November 21. 2013 – Portrait Salon, Installation, Four Corners Gallery, London, UK, November 12-16. 2013 – Photoville, The View from Here, Brooklyn Bridge Park, New York, US, September 19-29. 2013 – The View from Here, curated by Alison Morley and Marina Berio, Rita K. Hillman Education Gallery, ICP, New York, US, June 22 – August 11. 2011 – Invisible Generation, Generazioni Elettroniche, University of Udine-Gorizia, Gorizia, IT, November 3. 2011 – New York Photo Festival, Provocation, group show and juried photo invitational curated by NYPH, The powerHouse Arena, New York, US, March 26 – April 17. 2018 – HuffPost, Fragments di Giulia Berto – a Parigi la mostra fotografica su un amore distante: “Una lettera d’amore che si rivela lentamente attraverso il mare che ci separa”, Interview and Feature by Silvia De Santis, May 4. 2018 – Marie Claire, La giovane fotografia europea ama Parigi e Circulation(s) 2018 by Simona Marani, May 5. 2018 – British Journal of Photography, Circulation(s) by Tom Seymour, Agenda: Festival, The Community Issue (#7869); New Talent Stars at Paris’ Circulation(s) Festival by Tom Seymour (February 20). 2018 – Shutter Hub | Good News, Spring 2018 (April 19), Winter 2018 (January 11), Autumn 2017 (November 1), Winter 2016/2017 (January 9). 2018 – L’Autre Quotidien, Les Circulation(s) 2018 de 104 ont belle allure by Jean-Pierre Simard, March 29. 2018 – Mowwgli Magazine, Ouverture de la 8ème édition du Festival Circulation(s) au CENTQUATRE, un regard à l’Est! by Marie-Elisabeth de La Fresnaye, March 19. 2018 – Exibart, Tu ed Io, e la nostra identità by Livia de Leoni, March 19. 2018 – Le Monde de La Photo, Circulez, il y a tout à voir! by Nadia Trujillo, March 17. 2018 – L’Oeil de la Photographie, Opening of the 8th edition of the Circulation(s) Festival, March 16. 2018 – France Inter Magazine, Le Festival Circulation(s) du 17 mars au 6 mai 2018 au Centquatre by Valérie Guédot, February 26. 2018 – Phototrend, Giulia Berto : l’engagement à l’état pur, Feature written by Diane Maat (January 25); Des jeunes et des photos : le festival Circulation(s) revient au 104, article by Diane Maat (January 11). 2018 – Iggy Magazine, Découvrez les dates du festival Circulation(s) qui aura lieu au CENTQUATRE-PARIS, January 16. 2018 – Black + White Photography, Face to Face, Feature & Interview curated by Steve Pill, Issue #211, January 2018. 2017 – Lense Magazine, Découvrez la sélection 2018 de Circulation(s) by Marie Abeille, December 1. 2017 – Numéro Magazine, Jeune, provocante ou surréaliste…La sélection de photographies du festival Circulation(s) se dévoile, article by the editorial staff, November 30. 2017 – Photography on A Postcard Boxset (50 postcards), The Night Before from the series Fragments was sold through a lottery ticket as well as included in the Photography on A Postcard Boxset (50 postcards) along with the work of Karen Knorr, Ed Kashi, Alixandra Fazzina, Martin Parr, Molly Soda and others, published by Art on A Postcard, October. 2017 – SURF4 Arts and Culture, Art on A Postcard Presents: Photography on A Postcard in Aid of the Hepatitis C Trust, article by Karen Harvey, October 12. 2017 – Shutter Hub | Blog, Selected: Shutter Hub Members exhibit in Photography on A Postcard (September 23); Best in Show: Shutter Hub OPEN 2017 Public Vote announced, Interview & Feature (August 23). 2017 – Fraction Magazine, 9th Anniversary Issue (#98), May. 2017 – ICP Alumni Newsletter, Alumni News Recap: January/February 2017, March 10. 2017 – Loupe Magazine, Photomasters 2016 – Fragments, feature by Brian Oosthuizen, London, UK, February. 2017 – Lenscratch, Love Letters, February 14. 2016 – Field Notes from The Photography Master Retreat, book published by Conveyor Arts, NJ, US, November. 2016 – Shutter Hub | Blog, The Winner of the 2016 Shutter Hub Photomasters Award Is, Interview & Feature, October 28. 2016 – Photomasters, exhibition catalogue, London, UK, October. 2016 – PULP FotoFilmic Collection, online gallery, October. 2016 – DART:Design Arts Daily, The DART Board, October 4. 2016 – Lenscratch, The Last Days of Summer, September 2. 2016 – ReverbNation Blog, Artist You Should Know: AYER, September 8. 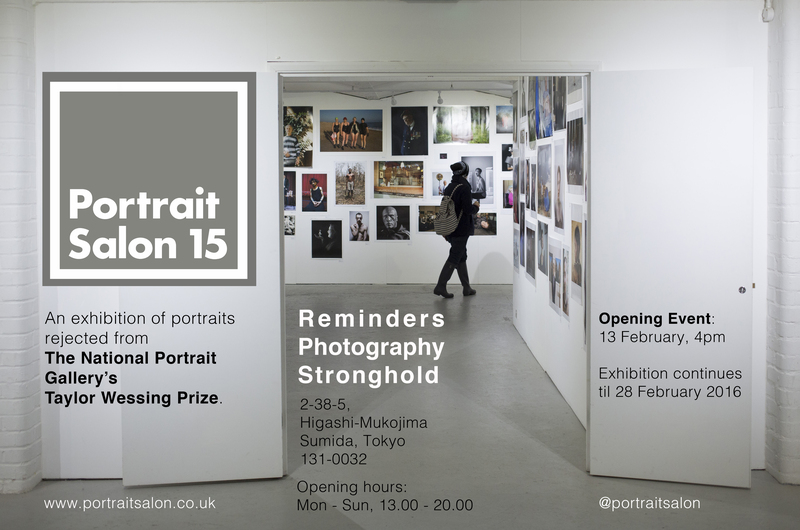 2015 – Portrait Salon 15, exhibition catalogue, London, UK, November. 2015 – Shift 8 1/2, book published by the International Center of Photography, New York, US, January. 2014 – L’Oeil de la Photographie, Behind the Door by Giulia Berto, feature in The Eye of the Readers, August 23. 2014 – Contemporary Music from Seán Clancy, Behind the Door by Giulia Berto feature written by Seán Clancy, April 18. 2014 – NoThoughts Magazine, Behind the Door feature written by Smita Sharma, April 1. 2014 – New York Edited – CITY SCAPES, book published by Ostkreuzschule für Fotografie, Berlin, DE, March. 2013 – fLIP Magazine for London Independent Photography, Winter Character Issue, London, UK, November. 2011 – Accordo.it, Generazioni Elettroniche 2011 written by Enrico Cosimi, November 14. 2011 – Isonzo Soca Magazine, Generazioni elettroniche/elektronske generacije by Shadia El Tabch, n°89. 2017 – Scotiabank CONTACT Portfolio Reviews Award Program, The Gladstone Hotel, Toronto, ON, May 7-8. 2016 – The Photography Master Retreat, held by Martine Fougeron (Photographer, Artist and Faculty at ICP) Elisabeth Biondi (Visual Editor at The New Yorker, Independent Curator, Writer and Teacher), and Lyle Rexer (Critic, Curator and Faculty at SVA), La Bastide d’Esparon – Cévennes Meridionales, FR, July 9-16. 2012 – Magnum Professional Practice, held by Fiona Rogers, Olivia Arthur, Sophie Batterbury, Paula Jones, Sophie Wright and Stuart Smith, Central Saint Martins College of Arts and Design, London, UK, May 12-13.